Also known as Trithrinax acanthocoma. 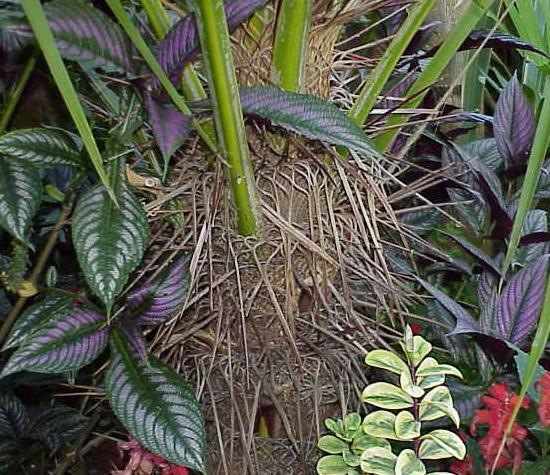 Brazilian Needle Palm and Saho Palm are commoon names associated with this tree. 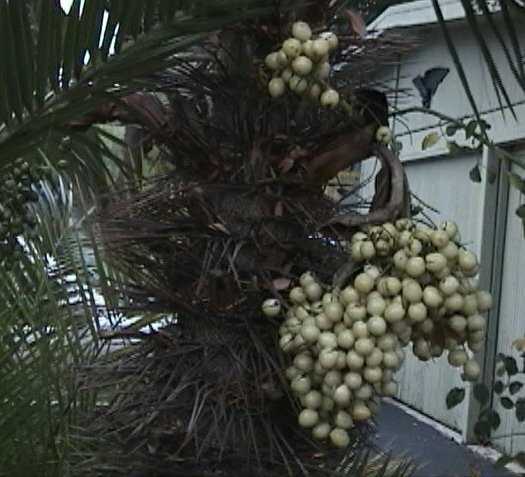 The fruit pictured in the third photo are green, but just before ripening, it turns a cream color before falling to the ground. Some fall off before they turn cream color, but the seed inside is mature. T. brasiliensis will take full sun in Walnut Creek and will also do well in dappled sun. Pictured in the fourth photo -- Jack aquired his one-gallon size T. Acanthocoma from Deigaard nursery of Santa Barbara in 1970. It fruited for the first time in 2004. 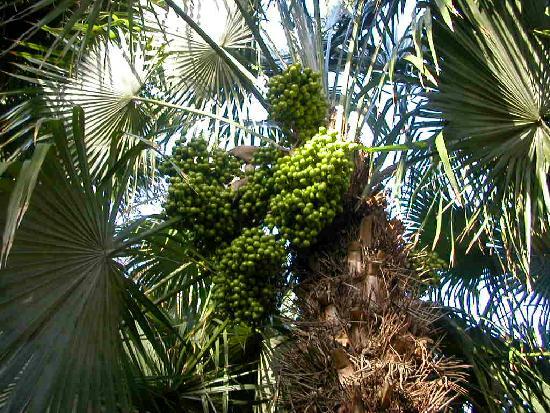 "Palms of the World" says that Trithrinax Acanthocoma fruits early. It took 34 years to fruit. The fruit is luscious-looking and golden. 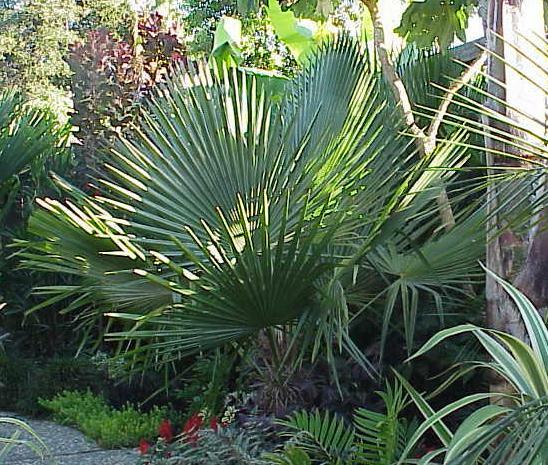 In appearance it looks somewhat like Butia capitata. However, it has a bitter taste.